Non-burr molded structure achieves smooth surface. Under different pressure, it is suitable for static and dynamic sealing. Widely used in all sealing industries. Non-burr mold pressing structure, innovative injection technique, and more efficient design. Widely used for static or dynamic sealing in automobile, pump and valve machinery, machine tool, steel metallurgy, printing machinery, food machinery, with hydraulic pressure or in air motion. 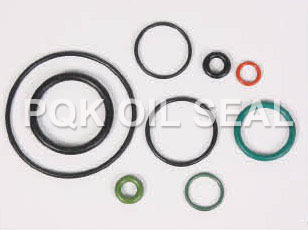 Zhejiang Shangyu Oil Seal Co.,Ltd is a leading China o-ring, y-ring, x-ring manufacturer and supplier, our o-ring, y-ring, x-ring factory can provide customoers cheap o-ring, y-ring, x-ring products. Welcome to buy discount o-ring, y-ring, x-ring or wholesale products from us.